If you are accustomed to watching your weight and are interested in not only saving on Weight Watchers but also compiling a list of recipes, it is a great idea to know where to find relevant blogs. Not only can you find promotion codes and delicious food ideas, but also a plethora of information and insight on how to live a healthy lifestyle. There are many, many invaluable weight loss blogs out there, but today I’d like to share with you some of noteworthy Weight Watcher coupon and recipe blogs that you can get familiar with. Be sure to add to your favorites and share with your friends! You save $25 when you buy the 3-month savings Weight Watchers Online plan. You save 30% on your Monthly Pass. WikiGains. A coupon site that has meticulously listed all current deals and promotion codes for Weight Watchers in the US and UK, WikiGains is the “go to” when you want to save on the grand daddy of weight loss programs. Skinny Taste. Here is a blog by Gina that has tasty Weight Watcher recipes that include beautiful pictures to accompany them. Gina, an author and photographer, shares her passion for healthy living at Skinnytaste.com and Skinny-bits.com. She also takes the time to answer questions, provide relevant health tips to readers, and occasionally has free giveaways. It is certainly worth taking the time to take a peek at her blogs. Skinny Kitchen. Meet Nancy Fox, a healthy minded gal who loves to create and gather recipes on her blog. The design and layout of Nancy’s recipe blog is wonderful, as she puts a small picture of the food just above the recipe for a sleek, modern magazine style blog. Whether you are looking for a meal with 1 WW Points or 11 WW Points, Gina’s creativity and cooking talent in the kitchen will leave you speechless. 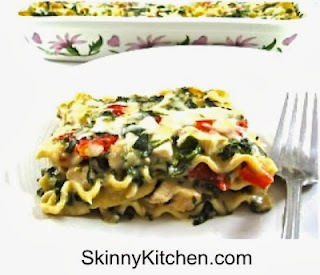 Here is her 7 WW Points “Beyond Decadent Skinny Lasagna Alfredo. This Mama Cooks. We all know Mama can cook, but This Mama (Anne-Marie Nichols) includes her tasty and healthy recipes as well. The website also has plenty of links and resources for you if you are seeking to convert to a healthy eating lifestyle and begin an exercise regimen. Pointless Meals. Here you will find a plethora a Weight Watcher recipe ideas that are tasty and good for you. What is nice about this blog is that on the right hand side there is a list of points, so if you are seeking a meal that is 8 points, you can simply click on that link and choose from those recipes. The “point-less” blog encourages men and women to point “less” at others and take responsibility for their own. These are simply some fabulous Weight Watcher recipes and coupon blogs that will both inspire you, save you money, and furnish you with hundreds of healthy recipes to aid you on your weight loss and healthy life journey. Feel free to drop the blog owners a note letting them know you appreciate their time and effort on their blogs. Better yet, if you have a favorite recipe of your own, feel free to share it with others so that many people can benefit from your tasty recipe. Here’s to a fit, healthy, and happy lifestyle! I love skinny taste, lots of good recipes there, I have made a lot from there and they always come out so delish!